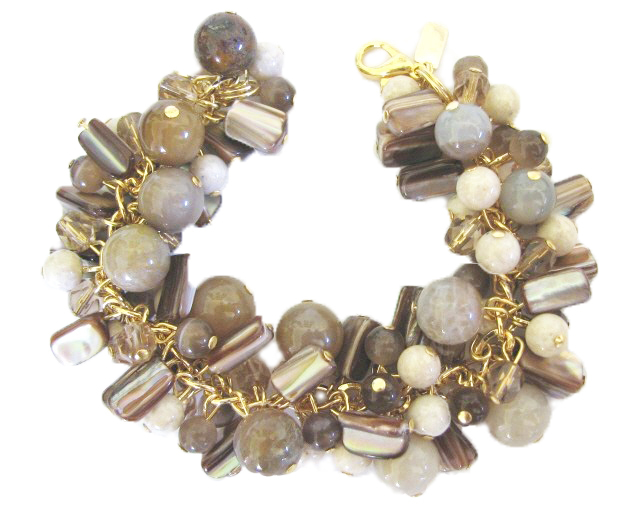 Pretty bracelet loaded with brown catseye beads, matching shell and wood agate beads, with faceted glass and riverstone beads. Matches serpentine flower necklace on necklace page 5. Item shown is example, this item is custom made at time of order. Please allow approximately 2 weeks for delivery.